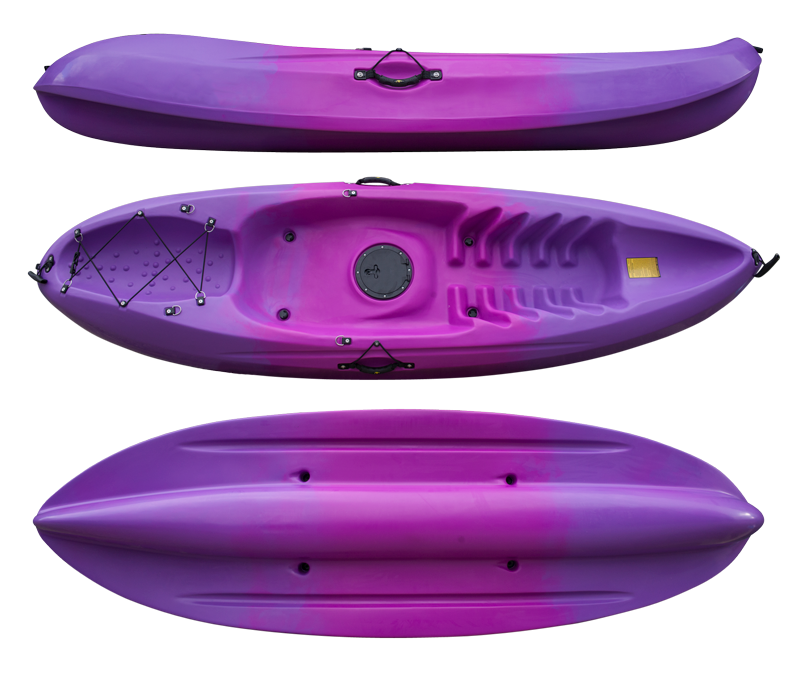 The GoSea Pioneer is a compact Single Sit-On Kayak that offers a fantastic level of stability for a lightweight Kayak, allowing you to concentrate on simply having fun. Designed for one person, the Pioneer Sit-On Kayak is both very comfortable and stable. It is the perfect companion for short or long trips on the river or bay hopping. The GoSea Pioneer includes a central sealed storage hatch with bag and a further storage area at the stern where more equipment can easily be held in place by the elastic bungees. The GoSea Pioneer Kayak weighs just 21.5kg and can carry a maximum load of 120kg. It is very easy to carry due to the conveniently located side handles plus the two extra at the bow and stern. The side handles have a bungee attachment that is useful for keeping the paddle secure when not in use. 6 Inch Central Hatch with Liner – Liner is not Waterproof!